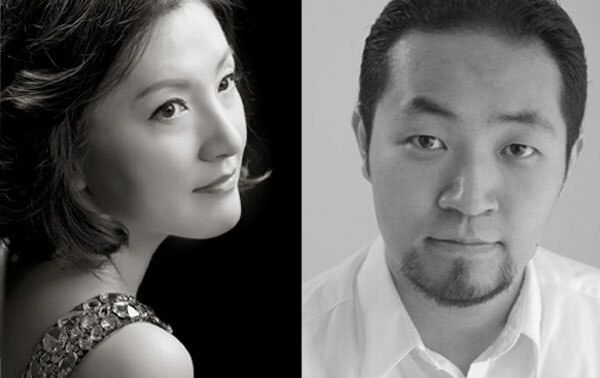 Pianist Hyunjung Chung will be in concert with her husband, lyric tenor Sungbae Kim, at 4:30 p.m. Feb. 5 in Callaway Auditorium. The event is part of a college faculty recital exchange program that was launched two years ago, according to Tracy Xian, Adjunct Professor of Applied Piano Music. As part of the program, Xian performed a solo recital at Berry College in October. Last year, the statewide exchange program was expanded to include Florida; next year, Xian is working to add Alabama for the 2019-20 academic year. Born in South Korea, Chung has performed in North America, Europe and Asia. She has distinguished herself in several competitions including the 27th Artist International New York Debut Audition, Milosz Magin International Piano Competition and International Web Concert Hall Competition. After presenting her New York recital debut at the Carnegie’s Weill Recital Hall in 1996, Chung has appeared in various concert venues and accepted invitations to perform and present lectures and masterclasses in the South Carolina Chamber Music Festival, Grumo Festival in Italy, Forty Fingers International Piano Festival in Rome, Arioso Musica Domani International Composition Prize, Piano at Peabody Workshop, Blue Lake Summer Arts Festival, Hawaii International Conference for the Arts and Humanities, College Music Society International Conference, and Van Cliburn Piano Institute, to name a few. She has released two CDs containing various compositions by women composers. “My Cherished Garden: Piano Works by American Women Composers” earned a silver medal from Global Music Awards in 2017. As an acclaimed collaborative pianist, she has enjoyed collaborations with renowned instrumentalists and singers. With violinist Qiao Chen Solomon, she inaugurated the Eureka Duo in 2014 and performs regularly in various concert halls and music festivals. Chung is an associate professor at Spelman College in Atlanta. She received a bachelor of arts degree in music from Seoul National University, a master’s in music degree and a professional study diploma from the Mannes College of Music, and a doctorate in Musical Arts in Piano Performance from Mason Gross School of the Arts at Rutgers University. Kim recently received his doctor of musical arts in voice performance at Rutgers University. He has appeared in several operatic roles, including Don Ramiro in “La Cenerentola” with Delaware Valley Opera in New York, Alfredo in “La Traviata” with Hudson Opera Theater, Impresario in Mozart's “Der Schauspieldirektor,” Fenton in “The Merry Wives of Windsor” with Rutgers Opera and Count Almaviva in “Il Barbiere di Siviglia” with Ridge Light Opera. He also has performed as a tenor soloist in the Mozart “Requiem” and Handel’s “Messiah,” and was selected for the 2002 Operalia Placido Domingo Competition in Paris. Senior Marilauren Farr had 15 points and 12 rebounds to lead the Panthers (10-7, 4-4 USA South) to an 89-14 win over visiting Wesleyan on Wednesday. Farr became the fifth LC women’s player to score 1,000 career points on Tuesday in a 72-44 victory over Johnson University. The Panthers (11-4, 7-1 USA South) ran their winning streak to five games, beating USA South foes Greensboro and Averett last weekend in Mariotti Gym. Travis Thompson led LC with 22 points in the 122-90 win over Greensboro, while Jamison McCray also had 22 points in the 91-76 victory over Averett. Registration is open for this year’s Spiritual Life Service-Learning spring break trip March 29-April 4 to Big Pine Key, near Key West, Florida, to do hurricane recovery for those rebuilding after Hurricane Irma. This will be a week of worship, work, play and learning in the Florida Keys. Space is limited to 20 students. Total cost per student is $200, which includes airfare, lodging and most meals. Student applications will be open until Jan. 28, and a $100 deposit will be due on Feb. 1. Visit here to apply. Save the date: The Frank and Laura Lewis Library will celebrate its 10th anniversary from 2-4 p.m. Feb. 1. More information to follow in the Feb. 1 edition of @lagrange. 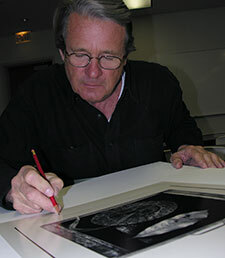 The photography of John Lawrence, Fuller E. Callaway Professor of Art and Design, will be the focus of a new exhibition at the LaGrange Art Museum. An opening reception for “Looking Back: A Retrospective – 50 Years of Photographs by John Lawrence, will be from 7-9 p.m. Feb. 15. Don’t forget the first “Magic of Morocco” lecture in this year’s 3D Journeys travel-and-learn series. Duncan Sandys, great-grandson of Winston Churchill, will speak about Churchill’s affinity for Morocco. The lecture will be at 10 a.m. Jan. 28 in Dickson Assembly Room. Read more about it in next week’s @lagrange. The Ida Callaway Hudson Lab Sciences Building has been awarded another design honor, this time from American School & University magazine in its November/December 2018 issue. It was one of nine named for outstanding design for a specialized facility in the publication’s annual Architectural Portfolio, showcasing the best of education facilities. The facility was spotlighted last year in Learning by Design magazine’s fall issue.